4.6L, Triton V8, Auto, PS,PB,PW,PL, Cruise, AM/FM Cassette, 50%+ Tire tread. hitch, two front tow hooks and plug-in. About 86,000 miles and inspection expired October, 2018. The frame has been welded and looks rusty, it will need more welding for inspection. must be manually switched on from under the truck. I was driving the truck daily until inspection ran out, but recommend it for farm or woods only due to the frame. 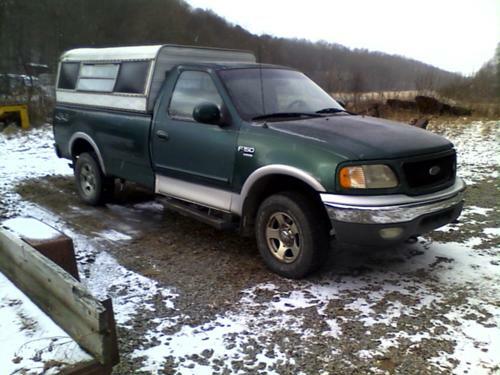 The truck would be great on the farm or for hunting and it has a cap on, but it does not go. The truck is priced at $1000 firm, cash only. Willing to trade even for a working farm tractor. If interested, contact Rodger at (724) 465-7826 in Indiana, PA 15701.